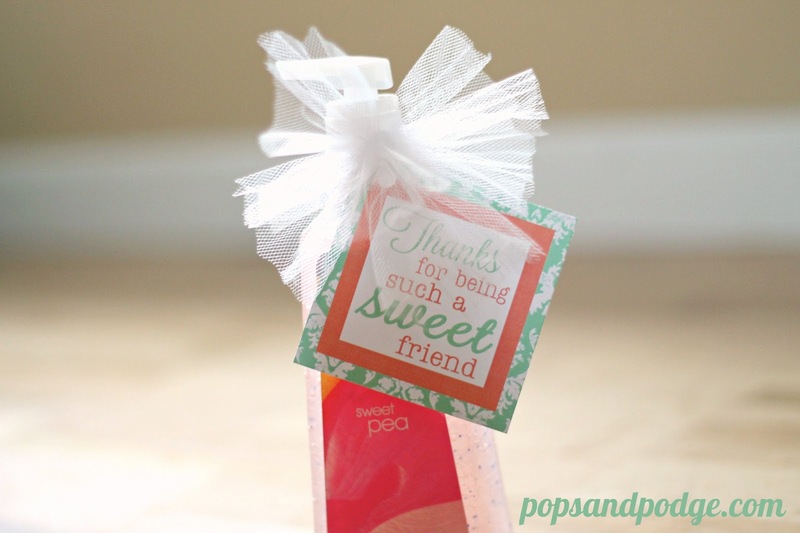 Pops and Podge: "Sweet" Friend - Free Printable! 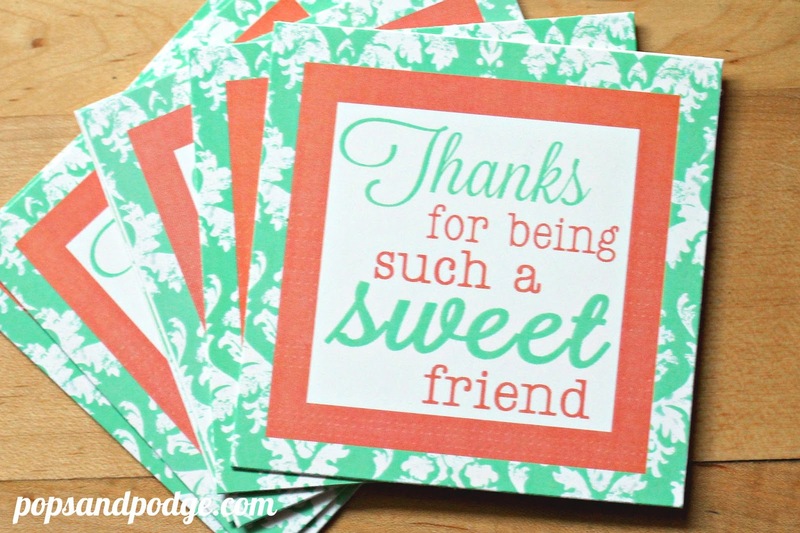 "Sweet" Friend - Free Printable! Over the past few months, I have noticed what fabulous friends I have! I truly am blessed to know such great people, and to have an amazing support system, especially since I'm living out of state about 800 miles from my family. My friends have listened to my rants and strongly held opinions (and trust me.... I rant about a lot of things.... I'm a very opinionated person), have watched my kids, have given me clothes for my kids when they've bought too much for their own kids (you know who you are.... wink, wink) and have just been plain old awesome. I have a friend who lives down the street from me (but not for long, boo!) and she has been so wonderful to live by. She is constantly bringing us treats, delicious dinners, and is always having my kids over to play which means I can catch up on laundry or even sneak in a nap here and there. I wanted to do a little something for her to show my appreciation... so I text her hubby to see what her favorite scent from Bath and Body Works was, and he told me it was Sweet Pea. Honestly, who doesn't love that scent? So, I headed to the mall to not only stock up on my own soaps (they were having their 5 for $20 deal. Can't beat that!) and I bought her some hand lotion, and I also bought a couple of Sweet Pea hand sanitizers to keep on hand. 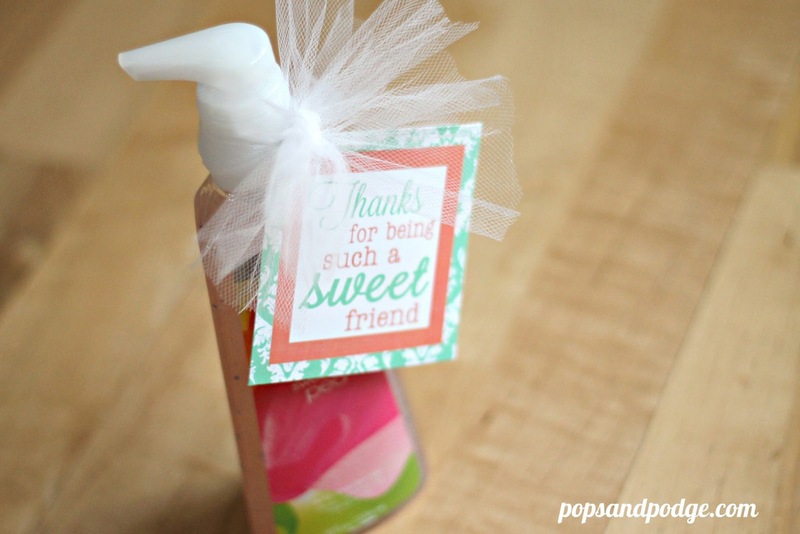 I created this little printable and made several copies to go along with the little sanitizers just for those little occasions when you want to say "Thanks". Too often, I mean to say thank you, or I mean to take treats to someone, and it just doesn't happen because life gets in the way. 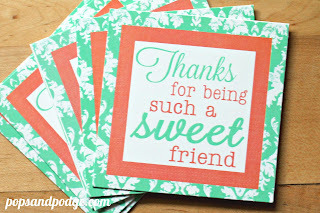 But having these printables on hand and ready to go will hopefully (fingers crossed, folks) help me to show my appreciation. So seriously... take a minute, download it right here for free!! I put it on an 8.5 x 11 inch document because I always go to Kinkos and print it on glossy cardstock.